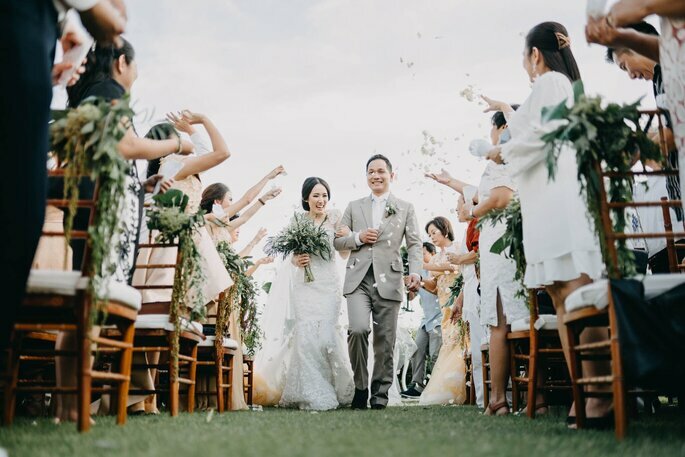 A Destination Wedding in an exotic country like Indonesia, where you can enjoy being one with nature in fantastic weather, is a truly tropical dream! 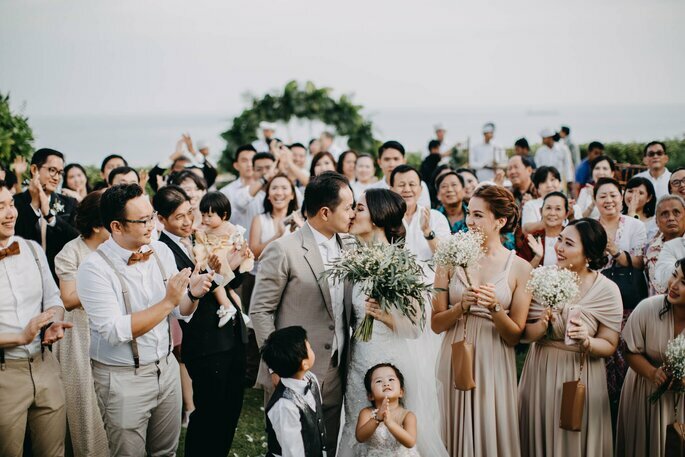 Today we take our readers to the Destination Wedding of Daniel and Raissa in beautiful Bali. 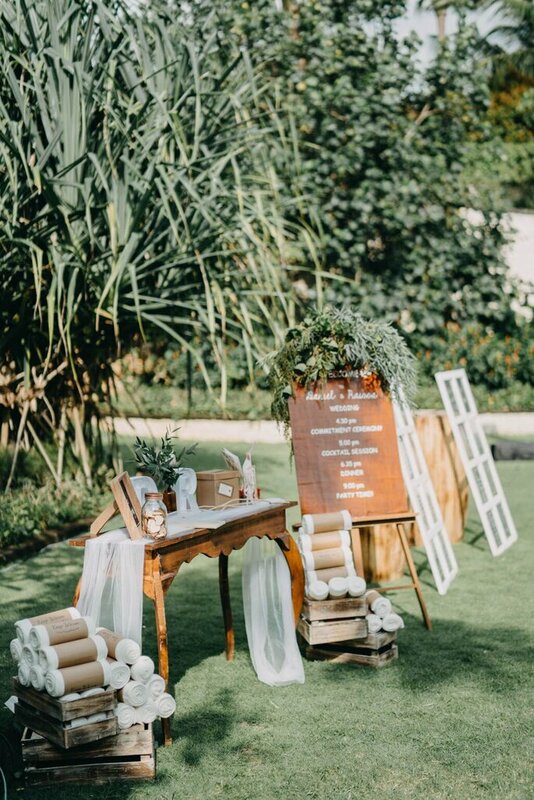 The theme of the wedding was Rustic Secret Garden, and was effortlessly captured by the Netherlands-based wedding photography company Flipmax Photography. Daniel and Raissa – both originally from Indonesia – met in Amsterdam at the birthday party of a mutual friend. This chance encounter blossomed quickly into a relationship, and Daniel proposed in Lisbon, Portugal in 2011, during a trip to celebrate Raissa’s birthday. Together they organised the wedding from Amsterdam, where they currently live together, in an impressive six months – to take place on January the 28th this year. 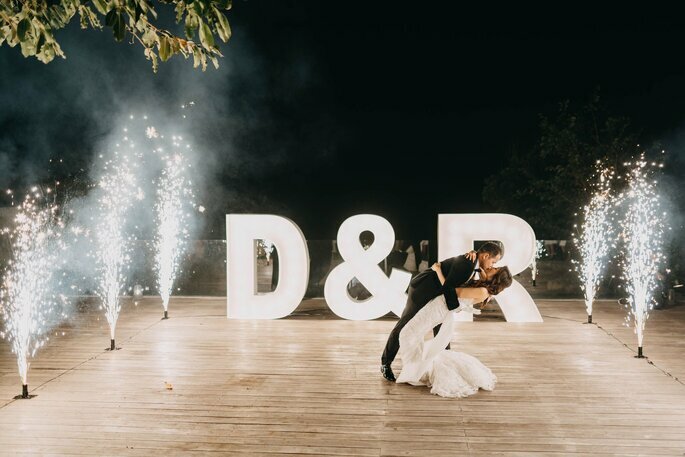 Finally, it was time to get married, poetically in the place where both Daniel and Raissa grew up! 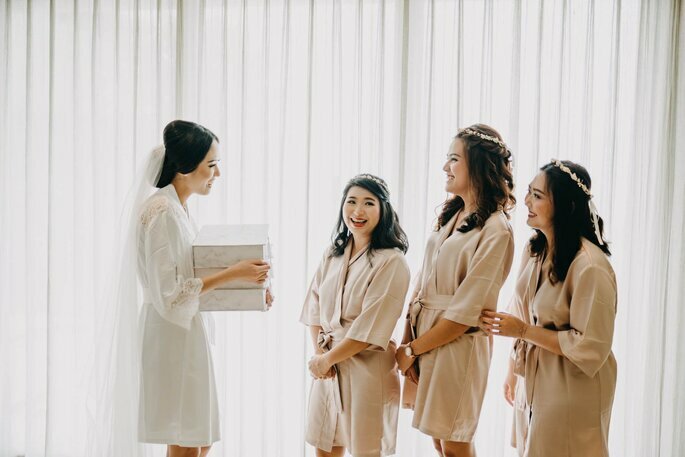 Together with her bridesmaids, the bride started getting ready for the big day. Her hair and makeup were both done by LIS Makeup Bali, after which the bride and groom took part in a photo shoot before they were married. 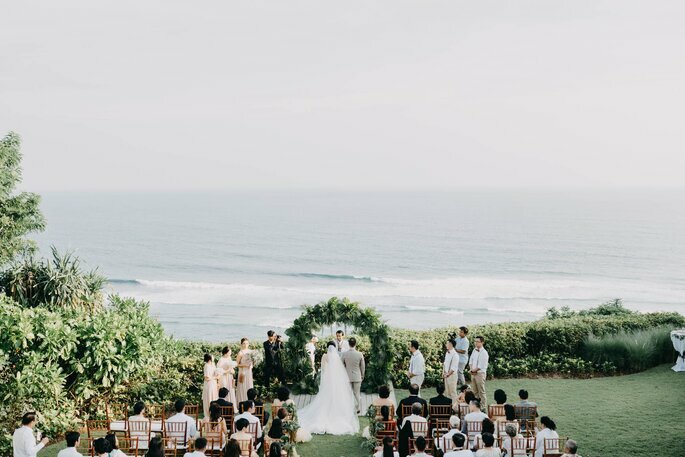 Soon after the shoot, the ceremony was performed in a stunning location – on the edge of a cliff at Pandawa Cliff Estate. 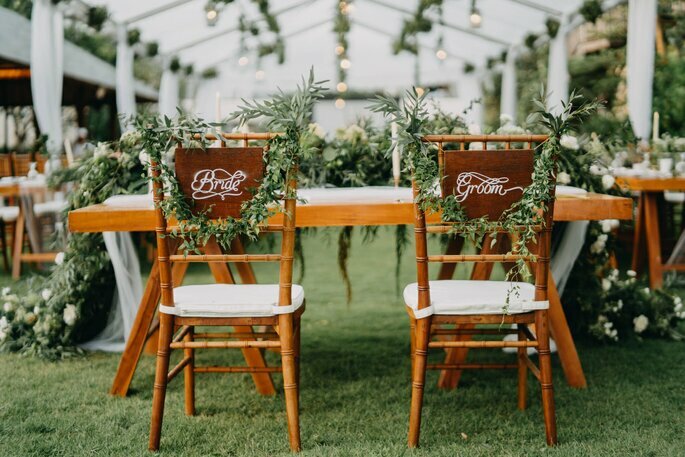 Having declared “yes!” to one another during their vows, they proceeded to their cocktail reception, and in the evening hosted a party for their closest family and friends. 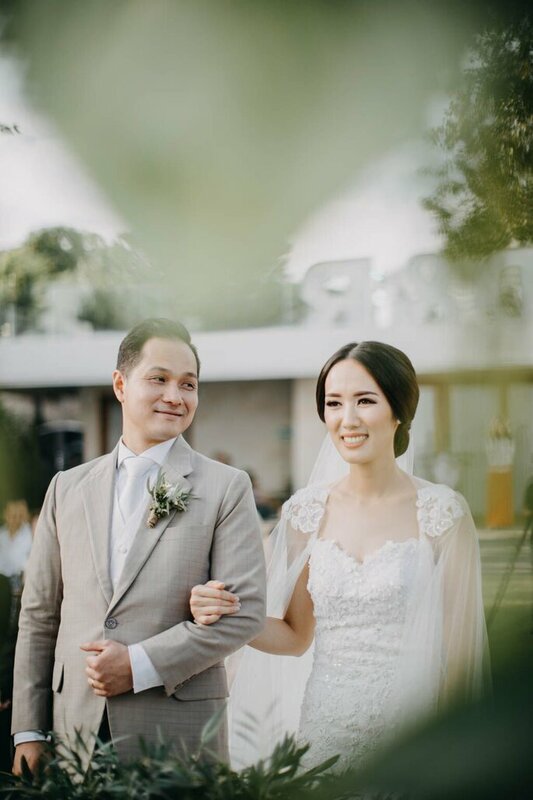 The bride wore a mesmerising dress by Elsie Chrysila, with accessories from Frank & Co. The veil created a classic look, and complemented the traditional, vintage theme of their wedding. The bouquet was made of daisies – the bride’s favourite flower – and was again tailored to fit the bohemian vibe. The groom, Daniel, on the other hand, wore his father’s suit, in a touching familial exchange. His accessories were sourced from Tommy Hilfiger and Profuomo. 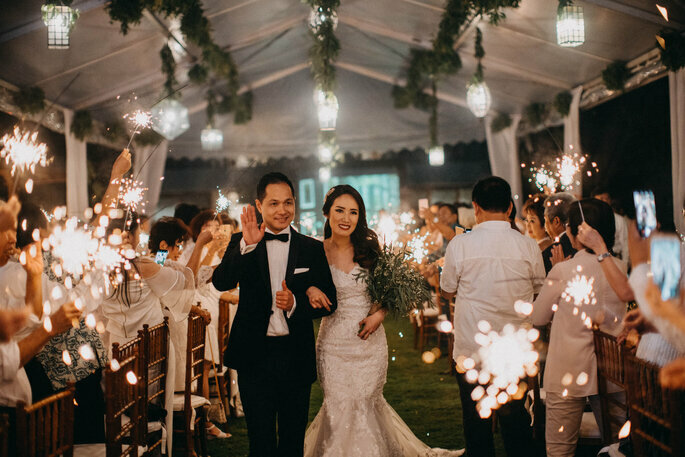 The colour of his suit fitted perfectly with the theme, and together Raissa, they were a truly picturesque couple. 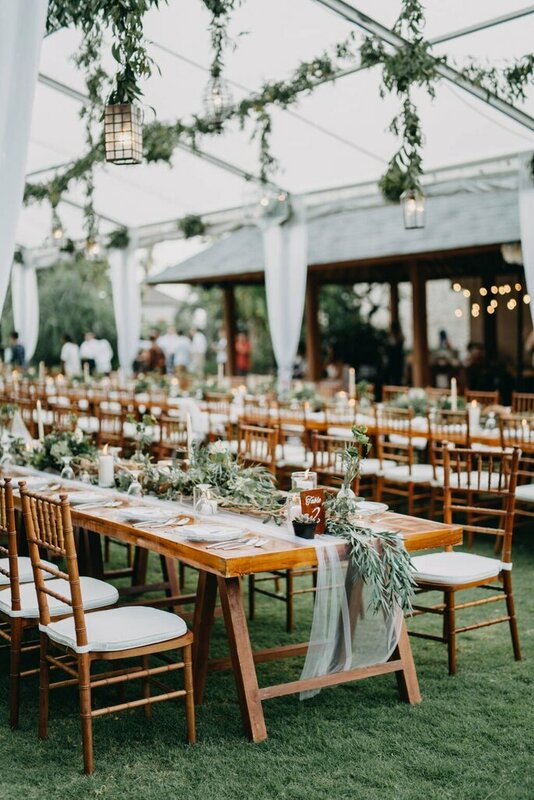 A final finishing touch was the outfits worn by the guests, who all adhered to the dress code and wore matching rustic colours. 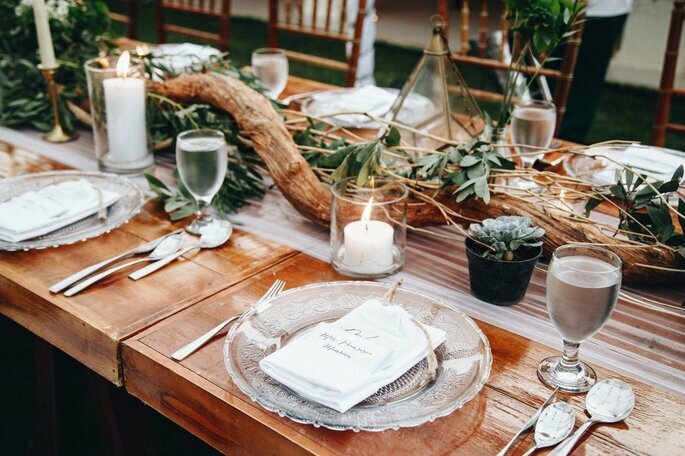 The décor reflected the theme of the wedding down to the smallest details, and created a rustic bohemian look. 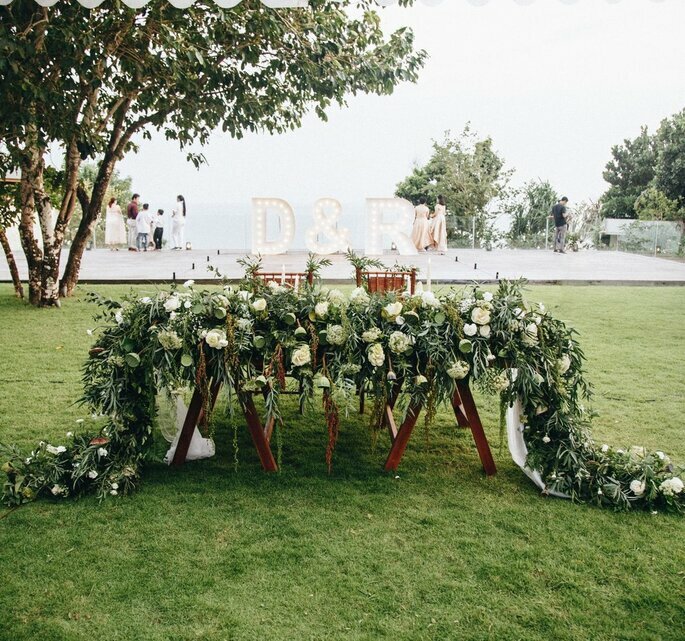 The rest of the decoration, including the flowers, were provided by the wedding planners, Bali VIP Wedding. The catering during the cocktail reception and the evening party was entirely taken care of by Lumbung Catering. We wish the bride and groom a lifetime of happiness together! 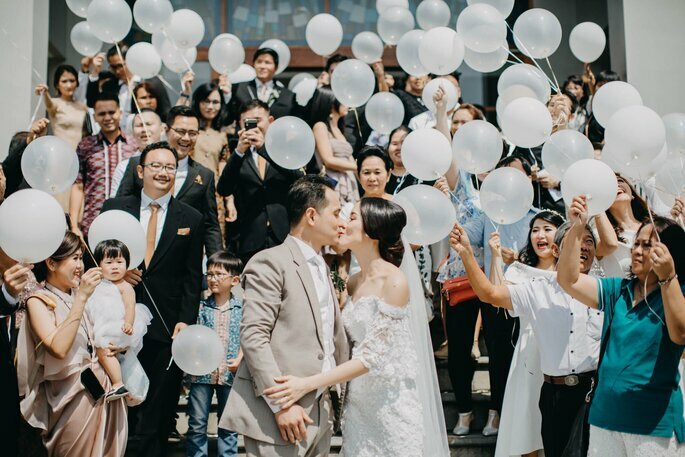 And the couple themselves have some advice for engaged people all over the world who are currently planning their wedding – to not stress themselves out on their wedding day! “It’s a moment that will stay with you for the rest of your life, so enjoy every moment”, they both said.